"The diminutive and dapper MP for Rutland and Melton has had a chequered front bench career, edging closer to one of the popular portfolios. Mr Duncan, 48, is currently shadow transport secretary. The wait for a post that will allow him to shine could be near an end, however, as Mr Cameron is said to have the highest regard for his relaxed, televisual style and appeal to younger voters. He was the first Tory MP openly to declare himself gay." The consensus points to Osborne staying as Shadow Chancellor, Hague returning as Shadow Foreign Secretary and Fox moving to Home affairs. "Davis's reputation has fallen dramatically. 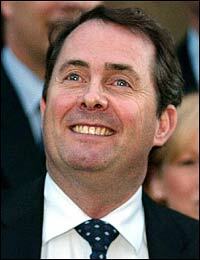 There is no question in our minds that the leader of the Right is now Liam Fox." The Davis-ites might be mollified with jobs for Davis allies. Damian Green and Andrew Mitchell may be kept sweet with top jobs, for example. The highly-regarded Nick Herbert, and close friend of Mr Davis, may also be given a junior role. Oliver Letwin will oversee a comprehensive policy review and may also retain the environment portfolio. This will be a controversial appointment as Mr Letwin's support for Kyoto environmentalism and his cautious approach to tax policies are strongly opposed by let-the-economy-grow conservatives. Only yesterday sixty business leaders warned that Labour's tax rises threatened long-term decline for the UK economy. Theresa May, Caroline Spelman and Boris Johnson are all expected to get big promotions. Francis Maude is expected to stay as Chairman and will pursue a radical approach to candidate selection. This may include a gold list of candidates for the most important target seats. The Right will be watching to see if their leading lights are included around the top table. If there are shadow cabinet positions for the likes of John Hayes and John Redwood the Right will be happy. Many on the Right remember how John Major sidelined right-wing MPs after he was re-elected Tory leader in 1995 after defeating Mr Redwood in a confidence vote. The Observer reports that Mr Cameron will begin his leadership with a speech heavy on themes, light on detail. He will stress optimism, public services, climate change, social justice, social enterprise and work-life balance. As you say Ed, plenty of gossipy speculation in the papers. Sorry- if DC does win, it will be because he's convinced the membership he's our own charismatic who can get us elected. Not because we have bought a radical Year Zero rewrite of our "politics". Whoever wins, the policy debate goes on. The new leader will deserve a period of personal loyalty, but that doesn't extend to uncritical acceptance of whatever policy makeover he and his guys dream up. John Hayes may be a social conservative but he is no free marketeer. He is a protectionist and on the far economic left of the party. 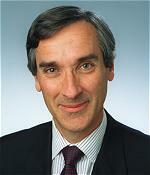 He cannot be compared to John Redwood. The last person Cameron should be promoting is Alan Duncan. He's SO obviously pleased with himself and his judgement is seriously flawed. This is the man who saw nothing wrong with abusing Tory Right to Buy legislation by paying an elderly neighbour to purchase his council house - and then leave it to a wealthy oil trader (one A. Duncan). His judgement is often wildly suspect - remember his over the top attack on Cameron followed by an equally embarrassing therapy-speak recantation when the political wind changed direction? Just last week he took to the airwaves to argue for clemency for Archer. Have we learned nothing? If DC wants to promote someone gay then Nick Herbert would be a hundred times better. "If DC wants to promote someone gay "
I really hope this is not what it comes down to. Ah Alan Duncan author of Saturn's Children with its easy message on drugs. Still Damian Green must know Duncan well enough; they were neighbours - Green at Balliol; Duncan at St John's = Green President of The Union, and Duncan Treasurer or something similar. I know our lovely pole-climbing MPs have their own ideas about what is important, but to me the post of Defence Secretary *is* bloody important - especially as we are actively engaged in armed combat at the moment, and even more especially in the light of the ongoing disgraceful scandal concerning the procurement of equipment. This needs a big, tough figure to sort it out and restore credibility in the whole MOD, both for the general public and for the Armed Forces themselves. Quite frankly, I hope DD does accept the Defence portfolio, and gives it a much, much higher profile than it has had in recent years. I agree with ‘Deckchair of despair’, the post of Defence Sectary is Damn important! Especially within the context of the war on terror and what is more Davis is eminently well qualified to hold that post. Yet at the same time there are practical reasons to move Davis IMHO. Firstly Davis and especially his allies have in the past been, to a greater or lesser extent, a destabilising influence of the leaderships of both IDS and Howard and that can’t be allowed to happen this time under DC. Secondly there is no need, through reasons of ideological balance, to retain Davis within the “big 3”, Davis is no longer the standard bearer of the right of the party and has largely been superseded, by the more media savvy and, to my mind at least, more ideological “sound” Liam Fox as the champion of the right. Consequently it would be best for Fox to be included as the leading representative of the right of the party for the simple reason that he has largely eclipsed Davis in that role, at the same time unlike Davis Fox boats good to excellent relations with DC and does not have a small group of supports who have in the past been a destructive influence as Davis does. At the same time Defence is a perfect match for Davis’ expertise and liking for tackling the terrorism issue, and while removing him from the key home affairs portfolio, provides him with a department where he is likely to be granted a fair degree of leeway without the potential for him or, more accurately, his allies to cause trouble. In short moving Davis and retaining Fox merely reflects, the changes that have occurred within the parliamentary party over the last few months, if either should be deputy leader then Fox would be the better fit IMHO, simply because his base of support on the right is more secure than Davis’, he would provide balance on ideology and experience for DC and enjoys good relations with DC, making for a productive partnership… unlike Davis. Owenite Adrift - at what stage did you find New Labour uncongenial ? I mean with DErek Scott and Roger Liddle and Andrew Adonis you must have found No10 quite heartwarming - why do you think you can sprinkle the SDP magic dust over the Conservatives and make these policies any more successful than insifde New Labour ? Who said: "Cameron can go away. His comments last week about quality of life just seem so trite. He sounds like a Central Office researcher."? You can't disagree with Deckchair's point that the Defence brief is important. The way that Blair has sent 'our boys' into action without providing the support they deserve is nothing short of disgraceful. And he does need to be confronted. But that's not why DC's team want to give DD the job- it's much more, apparently, because they want to cut him down to size (as Owenite recognises). That's what sticks in the craw. Is it me or has most of the make up of the new shadow cabinet been leaked to the papers? Yes, Wat they are as loathesome and spiteful as I warned everybody they'd be. I wouldn't mind if David Davis wasn't up to the job but he has been more than an excellent Shadow Home Secretary while Fox is my opinion has been a fairly undistinguished Shadow Foreign Secretary. Still this isn't at all about talent but getting one's own back, scoring points and putting one's inferiors in their place. I can tell you that if they go on with spiteful little plans they will lose a lot of supporters and start off something they wished they never did. The entire thing sickens me. Anonymous: "Is it me or has most of the make up of the new shadow cabinet been leaked to the papers?" My suspicion is that the newspapers are trying to promote some of their favourites. I know this is a little of topic, but does anyone see Theresa Villiers getting a post like Shadow Transport Secretary or something pretty obsure, but a big promotion from back bencher. Does seem a big jump to me. ..got to say I did laugh in the Sunday Times piece, where one 'unnamed source' said that they were considering how many 'head cases' to let in. anyway, aside from all that, I think the last thing Davis will do is create a fuss just as Cameron is elected. David Davis should take Defence, as it's an important job, regardless of whether or not it's intended as a snub. I can't say I'm exactly thrilled at the prospect of important jobs for Boris Johnson, Theresa May, Alan Duncan, or Oliver Letwin though. None of them has what I would consider to be good judgment. I think you read too much into a posters name, I’m far too young to be considered a SDP Stalwart! My use of the term Owenite is in fairly loose sense; my politics are best described as hawkishly neo-conservative on foreign policy while at the same time I’m fiscally conservative, public services are an area where I differ from many conservatives in being very cautious, though not hostile, about reform – if for no other reason that I have little idea about what would “work” best and that for me is all that is important what works as opposed to that which is ideological preferable. I suppose it’s inaccurate to refer to myself as an Owenite, for one thing I’m much to euro-sceptic, as for the likes of Derek Scott and Roger Liddle and Andrew Adonis, I personally agree more with the likes of Daniel Finkelstein (a former SDP’er) and Mike Gove. All together, my hawkishness on foreign policy, fiscal conservatism and euro-scepticism topped off by the big influence of catholic teachings on my attitude to social issues makes me far from welcome amongst the denizens of No10. Theresa Villiers is no 'newbie' -- she has experience as an MEP and now six months in the Commons. I don't think Transport is likely, but Minister for Europe, even International Development maybe. Defence is an important position where an MP like Davis could do sterling work. But if he decides to throw his toys out of the pram then he probably isn't the sort of person Cameron wants to have in his Shadow Cabinet anyway and Cameron shouldn't compromise. I hope Green isn't given a Shadow Cabinet role though. Where will Rifkind be posted? If Davis rejects defence, perhaps he could shadow John Reid? Pensions is currently a hot-topic. Perhaps he will be kept at Work and Pensions after all. "I think people will say, ‘Look, nice try, bit cheeky, you’ve over-reached yourself. Now go away and leave it to the big boys’"
I have to say that most of the appointments mentioned are either disppointing or worrying! Oliver Letwin was a barely credible Shadow Chancellor, and his policy announcements in the environment brief have been so 1997. Neither May or Johnson have exactly excelled in their past portfolios. Isn't the most important thing that the party's best performers fill the most important jobs? Anything of big concern to the voters should have a Tory spokesperson who is articulate, competent and, ideally, can inspire others. William Hague has obvious merit, as does Liam Fox. There are many others. But some people being mentioned have very flawed records. Boris Johnson, for example, who managed to insult an entire city. Oliver Letwin who could not even keep to the party's line on tax as its #2 economics spokesman and had to go into hiding for a general election. 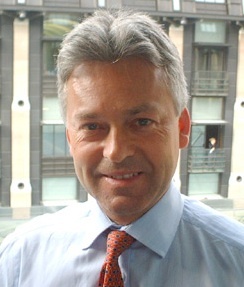 Alan Duncan who as has been noted thought it necessary to take to the airwaves to defend Lord Archer. I think it's very important that we get a team that tells voters that we are serious about being a political party in contention for power. In particular, the party chairman needs to be someone with the energy to deliver some very tough changes, and who can inspire the loyalty to do so. If people haven't shown the qualities necessary to succeed in the past--capacity for hard work, respect for the electorate, ability to be a team player etc. then they don't deserve to be in the shadow cabinet. I agree with James Hellyers comments. If in doubt chuck them out. Letwin, May etc have had their day. On the otherhand I do think that DD should be appointed to the Shadow Cabinet. Although I did not vote for him I feel that DD has got talent. However, I just wish that he would stop making instance policies. I hope that DC does not promote people just for the sake of it. It is time to promote for the brightest and the best. Weel said merit. We are loosing local by elections not because of our policies but becauce of poor election planning at all levels of the Party. Come on Maude get this right.